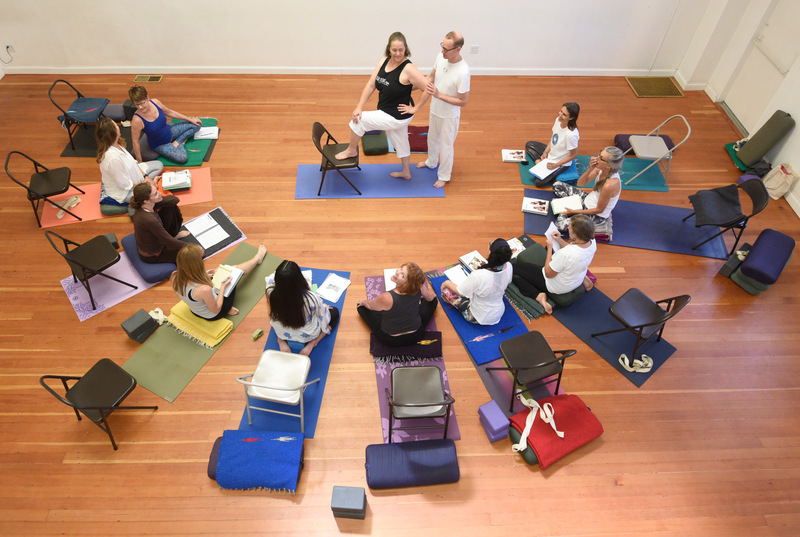 Jivana Heyman instructs a course at Santa Barbara Yoga Center. Santa Barbara is a yogic place. It’s not uncommon to see someone unfolding gracefully over a seaside bluff in dancer pose, or bending their back upon the crowning boulders of Lizard’s Mouth. Yoga is in our shared lifestyle and our worldwide brand. Our coastal city, whose mountains were likened to the foothills of the Himalayas by famed S.B. yogi Rishi Singh Grewal, has for more than a century drawn mystics, healers, and mind-body enthusiasts. “[Santa Barbara’s] splendid natural beauty arouses the desire in the individual to stay deeply connected to life,” said Yoga Soup founder Eddie Ellner. Now, with yoga more popular nationwide than ever ​— ​a joint 2016 study by Yoga Journal and the Yoga Alliance counted more than 36 million practitioners, a roughly 75 percent increase from the 20.4 million tallied in 2012 — Santa Barbara attracts more and more prospective yoga teachers, with at least nine different training programs offered in the city limits. The city is such an ideal location for yoga, in fact, that it is home to world-renowned master and creator of flow yoga Ganga White and his wife, Tracey Rich, whose influential co-teachings are felt in established studios such as Yoga Soup, as well as newer ones such as DiviniTree Yoga & Art Studio. And the city’s instructors aren’t ones to sit on their laurels ​— ​they continue to invent and innovate on the yogic front, with studios such as Santa Barbara Yoga Center and Let It Go Yoga teaching accessible yoga for the differently abled or branching into online teachings. 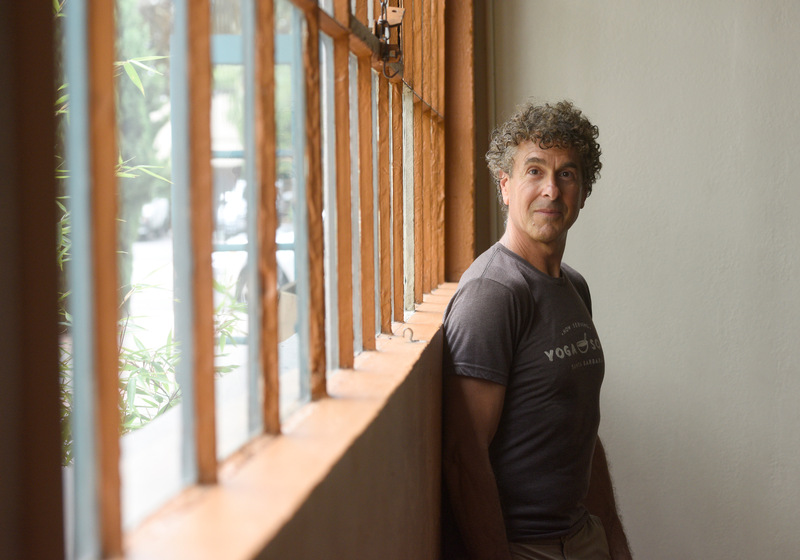 Yoga Soup's Eddie Ellner hopes to free teachers from limitations. "The more you can grapple with the attachment you have to your ideas of yourself, the less you indulge them," he said. The origins of yoga date back more than 5,000 years, with philosophical roots grounded in a collection of sacred texts and songs developed in the Indus-Sarasvati civilization. Over thousands of years, the spiritual practice evolved to integrate physical movement; most of what we know as yoga is extremely recently developed. In the early 1900s, gurus such as Swami Vivekananda and Paramahansa Yogananda advocated the spiritual benefits to U.S. audiences, and by the psychedelic ’60s, many Americans’ gazes were fixed firmly on the Eastern Hemisphere. Still, yoga wasn’t popular the way it is now. “You were always the black sheep in your family or neighborhood,” recalled Rich of that era. In time, however, yoga became commoditized and is now a gigantic and growing industry. The aforementioned survey found that, in 2016, Americans spent $16 billion on classes, gear, and accessories, far surpassing the $10 billion counted four years before. This current era of yoga is also likely the first in its multithousand-year history that has a nonprofit overseeing the nation’s teaching community. The Yoga Alliance requires any prospective teacher to be certified through the organization, which entails a minimum of 200 hours of training. That’s where the teacher-training studios come in. One of the first of its kind in Santa Barbara, White Lotus Foundation serves as the origin story for many area teachers. 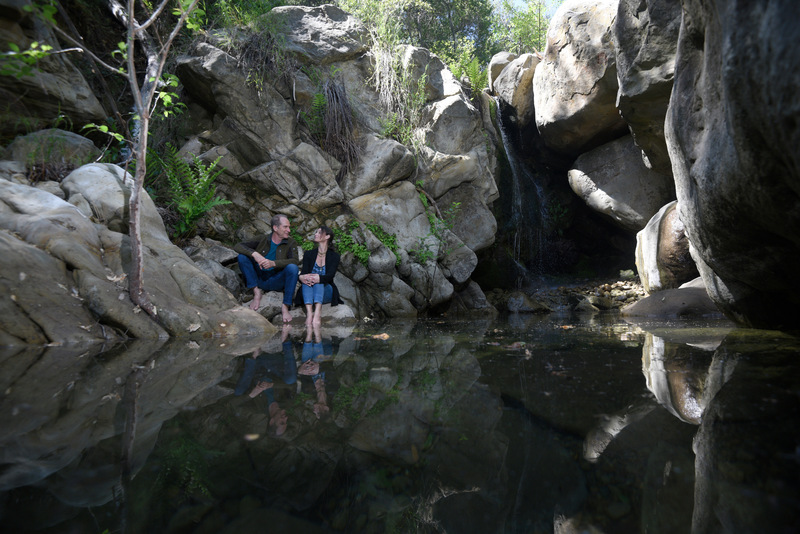 Opened in 1983 by Ganga White, the sprawling site, located on San Marcos Pass Road, encompasses a beautiful waterfall and swimming hole, quietly rustling bay leaves and chaparral, and sweeping views of the city and sea. The Chumash called this area Taklushmon: “the gathering place.” The ashram offers multiple retreats, and their training programs are intensive, where teachers-to-be live onsite. White was drawn to yoga long before he knew what it was. “I definitely had the innate inclination to explore things and learn things, and that’s why I was so attracted when someone told me yogis were making flowers out of thin air in the Himalayas,” he said. But it wasn’t until “the turbulence of the ’60s and everything melting down and the Vietnam War [that] it came into my consciousness that I should really look into this yoga that I had heard about.” White’s studies began in 1966; by 1968, he organized and led what is likely the first yoga teacher training in the U.S.: The In-Depth Yoga and Teacher Training. Soon, he became a world-renowned yogi, appearing in Hollywood films, embarking on national lecturing tours, and hosting yogi gurus from India. Pictured sitting at one of White Lotus Foundation's swimming holes, Ganga White and Tracey Rich offer a training based on their jointly developed flow sequence. While he was a teacher in Los Angeles in the late 1960s, Ernst and Ruth Haeckel, two yogis from Santa Barbara, were among White’s first students. The German-born Ernst approached White and said, “Young man, I have been doing yoga since I was a child in the 1920s. Use me as a resource.” White took him up on his offer and visited the Haeckels at their 40-acre site, then a yoga ashram replete with bomb shelter (which is now a kiva for prayer). White one day dreamed of opening a yoga retreat center on a land like this. In the meantime, White taught yoga to hundreds of people across the country and on his journeys met his future wife, Tracey Rich, on Maui. “We had a mutual respect, not only for each other, but for the importance of what yoga was in our individual lives, and that it was a very full-spectrum, deeply personal path of living,” she said. “We are both into the inquiry of the human mind and consciousness and living, and that remains something we teach and share.” Together, filming on VHS in L.A., they developed a series of partner yoga videos, which further expanded the practice for many yogis. By the 1980s, the Haeckels’ yoga center had fallen into disarray, with squatters on the land and financial troubles rumbling. In 1983, White and Rich offered to take over the land, settle the Haeckels’ debts, and allow them to live on the property until their death, which they did. The couple passed away on the property they hoped would become something very much like what White Lotus Foundation is today. Summerland's Evolation has grown through a worldwide network of teachers, say founders. Mark Drost and Zefea Samson. White and Rich’s lessons trickled down the mountains into the minds and meditations of yogis who went on to open some of S.B.’s most venerable studios, including The Yoga Studio, founded by Sue Anne and Jim Parsons in 1986. “Not [a] very original [name],” Sue Anne admitted, but “at the time, it was very original,” countered Jim. “People had weird ideas [about] what yoga was,” Sue Anne explained. “They thought it was a cult,” Jim said. 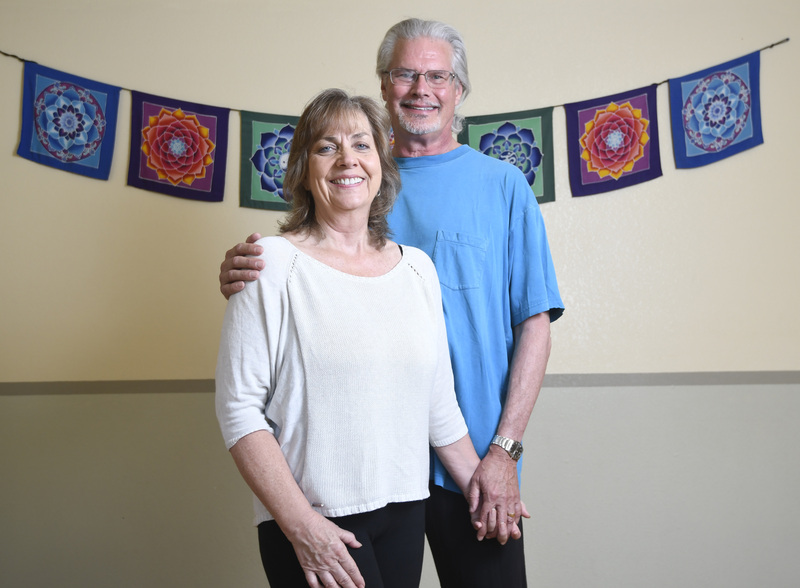 The Parsons family has developed its own style, Let It Go Yoga, a practice done entirely on the floor, and just about everywhere that offers yoga classes has a Parsons graduate, Sue Anne said. “[It’s] a style of hatha yoga, done lying down. It’s all about surrender; learning where you’re holding on and then releasing it,” she explained. “Let It Go is designed to be something you can do forever,” Jim said. Within the last year, the Parsons launched their inaugural online training course, which can be done at home over any length of time. The course teaches not only the Eight Limbs of Yoga (the guiding principles, of which asanas are only one facet), but also emotional-release tools such as instructions on how to write a love letter. This is just one way the family is innovating the yogic landscape. Their daughter Jessica Parsons is the first person in the country with Down syndrome to become a certified yoga instructor. Along with her sisters Lauren and Emily Parsons, also teachers, she has released a series of Yoga by Teens videos, among the first teen-focused yoga videos on the market. With both their Let It Go sequence and their online training course, Sue Anne and Jim Parsons offer yoga for any time of day. Another innovator in town is Yoga Soup’s Eddie Ellner, who is renowned as one of the most creative, distinctive, and even quirky teachers. A White Lotus graduate, Ellner came here, having witnessed the “yoga explosion of the mid ’90s” in Santa Monica, when now-celeb-status figures like Bryan Kest and Steve Ross brought yoga to L.A.’s Westside. Studios such as Santa Barbara Yoga Center (SBYC), on the other hand, are offering yoga teacher trainings to people who, due to physical incapacities, perhaps never imagined they could do yoga, let alone teach it. In addition to its usual teacher modules, SBYC offers a course in Accessible Yoga Training through co-owner Reverend Jivana Heyman. Heyman and Barbara Hirsch took over the studio from founder Laís Ribeiro da Silva, who opened the studio in 1992, making it S.B.’s longest-running studio. In the last decade, Santa Barbara has seen an ever-greater blossoming of yoga studios, practitioners, and teacher-training programs that fill a particular niche, attracting a broader, younger crowd with their variegated approach to yoga. Yasa Yoga founders Stephanie and Ryan Besler moved their studio from Scottsdale, Arizona, to an astounding church-like structure on Mission Street in 2011, when Stephanie, a UCSB alum, wanted to return to the community she loved deeply. The Beslers’ style blends the ashtanga and Iyengar lineages, and they “wanted to bring something new and different to the community.” The Beslers co-teach, balancing “masculine and feminine energy” in the lessons. “You get that ‘mom-and-pop’ feel,” Stephanie said of the training vibe. Beyond equipping their teachers with a tool belt of safe teaching methods and effective marketing skills, the Beslers emphasize a continual willingness to grow. “There’s a humble confidence that is so importance in being a good yoga instructor,” Stephanie said. Yasa Yoga's Stephanie and Ryan Besler balance their teacher trainings with a husband-wife approach. Summerland’s Evolation is also owned by a husband-wife pair ​— ​the word yoga does mean “to yoke or unite,” after all ​— ​Mark Drost and Zefea Samson, who both have a largely Bikram-influenced lineage. Nestled in a serene Summerland space, their white-walled shelter overlooks the blue Pacific in a mind-clearing oasis. Theirs is a small, hands-on, intensive 500-hour course founded in Bikram’s and Iyengar’s philosophies. The pair take and teach the principles and poses they found accessible and inspiring about Bikram ​— ​a controversial hot-yoga brand known for its powerful effects, widespread popularity, and litigious founder, Bikram Choudhury ​— ​and transform it into something more. “What made Bikram so successful … it’s so simple. But we feel like you go in this narrow hallway or doorway of yoga; a lot of people are looking for more; [they want] to keep that simplicity but open a few more doors.” Samson said Evolation creates a “support system,” and the teachers have gone on to spread the practice worldwide, from Madrid to Missoula to Malawi. Fostering a fun and unpretentious atmosphere at her Power of Your Om studio, Adrienne Smith provides a practical and empowering curriculum focused on power yoga sequences. Deep truths are all but inescapable to the focused yogic mind, said DiviniTree’s Rachel Wilkins; they almost come crashing in. “It’s a deep churning and peeling back the layers. You’re totally raw, totally bare; you can’t really hide when you’re up there teaching.” At DiviniTree, a very popular spot on East De la Guerra Street that offers teacher trainings this fall, White Lotus graduate Wilkins leads a training program that emphasizes creativity. A dancer who’s “always trying to channel a little bit of Bowie,” Wilkins teaches her teachers a “very organic, improvisational flow.” Through her, the mountaintop teachings of White Lotus unfold in sensual, musical classes and art projects, with the flow series evolving evermore in electronic rhythms. Rachel Wilkins encourages teachers-to-be to get creative in her DiviniTree teaching program.